Now, you can experience the world’s longest zipline right here in the UAE and enjoy a cool view at the Viewing Deck Park. In winter, it sometimes also snows up there. But now that it’s summer, a visit to the country's tallest peak Jebel Jais is still a cooler option, quite literally. Temperatures up in the mountain (at 1,934-metre or 6,268 ft above sea level) are generally 10-degrees cooler than other parts of the country. What’s awesome is that today, Jebel Jais has just been made more accessible to everyone. If you want to visit this mountain-top destination and you have no car — no problem. A new shuttle bus now makes it easier to access the UAE’s highest peak. If you’re a visitor, getting to Ras Al Khaimah from Dubai is easy. There’s a bus service from Dubai (free until September, and Dh20 per seat afterwards). Just book your ticket for a 45-minute ride. Now, Ras Al Khaimah Tourism Development Authority’s (RAKTDA), has rolled out a shuttle service that will transfer visitors from Ras Al Khaimah to Jebel Jais Mountains. Tickets can be bought on the bus or booked in advance online. 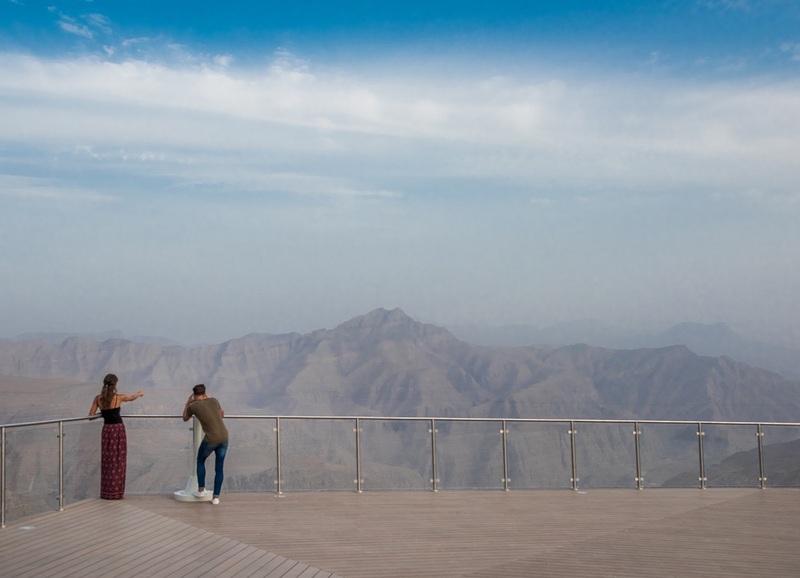 The service will operating from Ras Al Khaimah City Centre and the Al Hamra / Al Marjan Island area, and will take visitors to Jebel Jais Viewing Deck Park. The launch of the shuttle service will also aid tour operators from key international source markets bringing holidaymakers to the destination to experience the Emirate’s adventure tourism offer. It's a day trip in the UAE not to be missed. You can choose to disconnect, relax and enjoy the scenic mountain views on the drive up. And with the average temperature 10 degrees C cooler in the mountains, the UAE summer is an opportune time to enjoy Jebel Jais. Once on top, you may opt for the "Jebel Jais Flight", officially the world’s longest zipline at 2.83km. There's a Viewing Deck Park complete with observation points and food trucks. Recently opened at the Viewing Deck Park is the new Puro Express, a mountain top version of Puro Restaurant, the Emirate’s first rooftop lounge overlooking the stunning coastline. Featuring a light bite menu of pastries, pizza and salad, Puro Express is the ideal snack stop when you’re in the mountains, open daily from 11am to 8pm on weekdays and 9am to 8pm on weekends. Ras Al Khaimah boasts a rich culture and long-standing history dating back 7,000 years. The emirate just 45 minutes north of Dubai is dubbed as one of the world’s fastest-growing tourism destinations. The Emirate has an array of archaeological sites and breath-taking natural vistas, from golden sand beaches, awe-inspiring terracotta dunes and a green belt of date palms to Jebel Jais, the highest mountain in the UAE.